Here’s an appetizer (or brunch alternative) that will confound and then delight your guests—a Savory Cheesecake made with asiago and cream cheese. 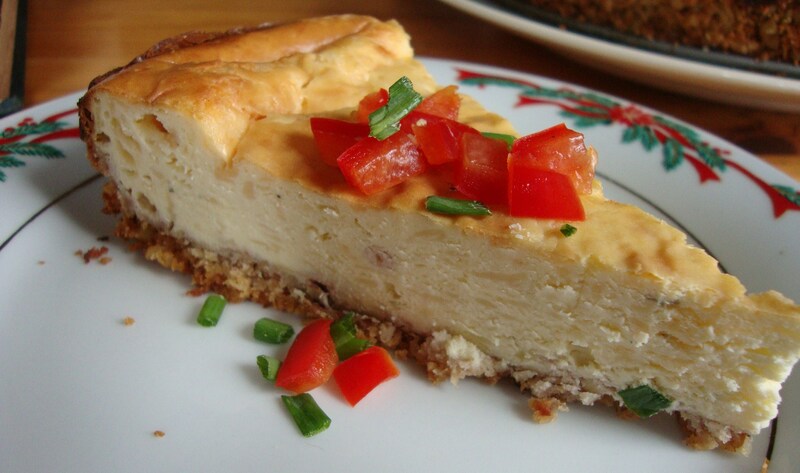 Diners always seem to have a hard time wrapping their heads around the combination of cheesecake and savory. Be prepared for the inevitable exclamations: “Oh. . . . it’s not sweet!” followed by “Wow, that’s fantastic. What’s in it again?” Especially festive with a Christmas garnish of red pepper and chives.